REINFORCING MESHES - Surrey Steels - Steel fabricator and supplier in London. At Surrey Steels, not only can you order ready-made rods cut to size, but even reinforcing mesh. Mesh is used for the reinforcement of footings, rims, lintels, beams and columns. 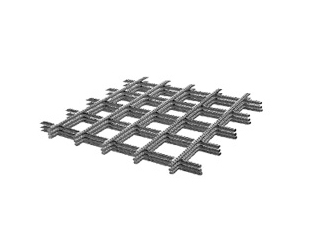 Reinforcing mesh is made of thin welded rods at connection points. It would be labor-intensive to construct the mesh on-site, so it is generally made in steel factories, building depots or wholesalers. The mesh is most often used for ceiling reinforcement, but it can also be used for foundation walls.